Ghost Stories: from Hammersmith to the West End for Summer/ Autumn 2010- be afraid, be very afraid! 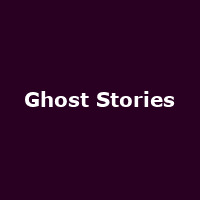 The League of Gentlemen and Psychoville - throw them together, add in a dash of legend, a smidgeon of jumpy moments and an endless sinister array of smells, hums and nervous clicks and you have Jeremy Dyson and Andy Nyman's excellent "Ghost Stories". For a few weeks, palpitating hearts and sweaty palms had been common-place in Hammersmith and I'm not talking about King Street on a Friday night either - I'm talking about this excellent play that has recently ended its run at the Lyric Theatre and now due to head off to the West End. This production again stars Benidorm and Nathan Barley's Nicolas Burns as well as David Cardy, Ryan Cage and Andy Nyman. As the tag-line goes: "Are you brave enough to book, or are you a wuss?" (OK, I added the last bit but you get the drift). This chilling production will now play at the Duke of York's Theatre from Friday 25th June to Sunday 7th November and it doesn't take a genius to work out which date is going to sell quicker than the rest - Halloween. Tickets for this particular date are not yet up for grabs (I reckon they are planning a midnight performance for that day), but watch this space for further details. If you are of a nervous disposition, think twice about booking. I've seen it and it IS pretty tense stuff. Besides, there is nowhere to change into a new pair of pants should you happen to mess yourself through fear! Tue 14th May 2019 to Fri 24th May 2019 The BodyguardMore Info..
May 2011:Special Offer: Ghost Stories seats discounted by up to 50% - valid until 19th June 2011! !